Titan Comics returns readers to the glory of classic Sunday comic strips with Mandrake the Magician: The Hidden Kingdom of Murderers, a beautiful hardcover reprinting full-color Sunday strips from 1935 to 1937. The progenitor of many other super-magician characters who followed, Mandrake’s powers aren’t well-defined, with some effects explained as “hypnosis,” while others clearly violate the laws of physics and veer into the supernatural. 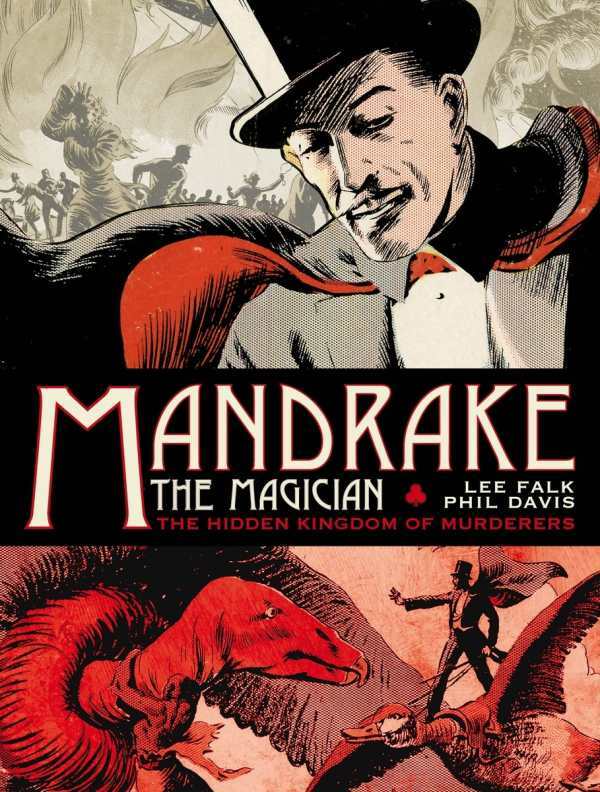 But far from being a detriment, this only enhances the surreal, dreamlike quality of Falk’s work, as Mandrake encounters a kingdom of cutthroat murderers from around the world, a dimension where metal men and crystal men dominate their fleshly counterparts, a circus plagued by a series of misfortunes, and a strange land whose citizens live subject to the whims of its half-insane ruler. Through it all, Mandrake is accompanied by Lothar, his muscular servant, as they meet and aid a series of wronged, put-upon men with beautiful daughters or sweethearts (often royalty of some kind). Though Lothar’s speech pattern and the role of women are bound to the mores of the 1930s, there is a nobility in Mandrake and a genuine friendship with Lothar that makes their stories immensely enjoyable, even to modern eyes. Lothar also frequently provides timely comic relief. The strips are reprinted nicely, in a size large enough to appreciate Davis’s detailed artwork. With today’s Sunday comics often shrunk and shortened to save money, Mandrake the Magician: The Hidden Kingdom of Murderers is a welcome opportunity to enjoy a classic series in an ideal format.